﻿Group accommodation and large holiday homes for big groups sleeping 10, 12 , 16, 20 - 30 guests. Accommodation sleeping up to 30 guests to hire. 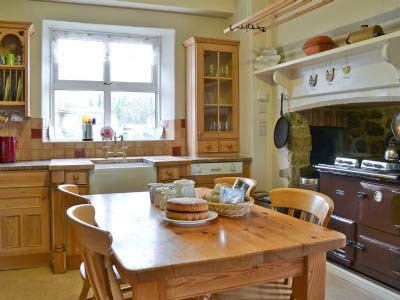 Self-catering or hire a cook per night or for the duration of the holiday. As people lives become even busier and friends and relatives move away from each other there is an increasing number of people are renting a big property so that everyone can meet up, have a good time, catch up and relax! Sometimes it's just a short break, snatching a weekend breaks, other times it is a longer stay to party and celebrate a special event, birthday or anniversary. People either pick somewhere geographically central or just go somewhere amazing! Often facility led, hot tubs are very popular - especially in the winter and swimming pools (indoor or outdoor) can provide additional relaxing entertainment for adults and children. Are you looking for a big house to rent? What location do you desire? Will guest be driving or require transport from airports, consider this before pin pointing your holiday location, also if some guests drive electric cars - consider the location of electric car charging points - some holiday houses have them (ultimate convenience as you can charge overnight). Would you like a coastal property near beaches? Do you require a rural or city location? How many guests do you wish to accommodate in a holiday house? How many are adults and how many are children will be staying, consider the ages as to whether you require ground floor accommodation and an enclosed garden - especially if any of your guests are bringing pets? Some large holiday houses will accommodate big groups of guests, often sleeping 10 to 12, 14 or 16 is popular for 2-3 families and more rare are the even bigger properties that sleep 20 - 30 guests. Book the larger houses as soon as you can as there are not so many of them, and they are in high demand during peak holiday periods and especially for weekend breaks. How many bedrooms do you need? - Some houses will have bunk rooms for children (great for large groups of kids) or family rooms, sleeping 3-4, cots can often be supplied for infants. The facilities for younger children can vary so check if cots, high chairs, stair gates and swimming pool fences are required. Are you going to self-cater every night - maybe a 'come dine with me' approach would suit your group and you can arrange fun themed dinners? Many holiday houses offer barbecue facilities for outdoor dining. Self-catering group accommodation is so flexible, when catering for lots of people - An Aga can be found in some of the large country kitchens, especially in Scotland where they provide a welcoming warmth to the houses. Alternatively you can contract a cook, or look for local restaurants for a special night out. Is there a special occasion being celebrated? Do you require a cake, champagne or special balloons to be ordered in? Local shopping is always popular, but supermarket deliveries are very convenient - especially if you are away in a large group, as you can pre order and have groceries and drinks delivered to the door, most of UK gets supermarket delivery coverage, so do consider this planning this in advance and save you holiday time for relaxation! Holiday house in Shropshire near Craven Arms with 8 bedroom, sleeps 18, No pets, Barbecue, Pub within 1 mile, Cot Available. Luxury holiday house in Norfolk near North Walsham with 8 bedroom, sleeps 16, No pets, Ground Floor Facilities, Golf nearby, Pub within 1 mile, Sea View, Wifi, Cot Available, Fishing Nearby, Coastal Property. Weekend and weekly rentals in Derbyshire near Derby with 9 bedroom, sleeps 18, Pets friendly, Barbecue, Pub within 1 mile, Cot Available. Rent a big house in Cumbria near Alston with 9 bedroom, sleeps 19, Pets friendly, Ground Floor Facilities, Wifi. What activities do your group require? Walking, golf, cycling, sailing, retail therapy, luxury Spa experiences, clay pigeon shooting, off road 4x4, bird watching, mountain biking, riding, fishing, swimming, water sports ... perhaps a questionnaire to the group would make sure that you cover all common holiday activity requests? Will your holiday house require a bike store, a games room, a swimming pool or a billiards table? - self catering holiday homes, cabins, lodges and apartments for large groups offer a different holiday atmosphere. Wood burning stoves and open fires come high up on guests looking for a winter break and indoor swimming pools and hot tubs add a sense of fun! The price of large holiday lets will be more at peak times - such as Christmas, Easter, New Year, June, July August for summer holidays and of course half terms. Great bargains at much lower costs can be found if you are not constricted by school holidays, and large houses offering very relaxing, comfortable group accommodation can be rented at a cheap rate once divided by a big number of guests. Mini breaks of three or four nights, are popular and especially out of season when mid-week bargains offer very cheap, good value accommodation in wonderful houses for large groups - these are popular for Stag weekends and Hen parties. It might even fit in with hobbies such as golf, walking (hiking), sailing, tennis, or cycling - everything for a fun packed action holidays. Special offers in near-by Spas are often found when organising group rates giving you a little luxury and extra fun and indulgence. If you rent a very large house, you can have a stream of visitors rather than everyone staying at once. Large holiday homes can be rented all over the UK with big country houses available for self-catering in rural locations, large town houses near cities or coastal beach homes by the seaside. Large holiday property in Lancashire near Southport with 6 bedroom, sleeps 12, No pets, Golf nearby, Pub within 1 mile, Sea View, Wifi, Cot Available, Coastal Property, Newly Listed Property. Hire a large house in Cumbria near Windermere and Troutbeck Bridge with 7 bedroom, sleeps 14, Pets friendly, Pub within 1 mile, Wifi, Cot Available. Holiday house to let in Gloucestershire near Lydney with 5 bedroom, sleeps 12, Pets friendly, Barbecue, Pub within 1 mile, Wifi, Cot Available, Private Hot Tub.